Bike commuter resting at West End Beach, Donner Lake. Bike Month in Lake Tahoe is designed to promote bicycle commuting. Commuting by bicycle is healthy exercise, environmentally friendly, and reduces traffic congestion by getting people out of their cars. The Tahoe Bike Challenge is a two-week challenge to get people to ride their bike instead of driving. The Bike Challenge begins June 7, and ends June 20. Challenge riders can track their mileage and compare their mileage to others when they log in to Tahoe Bike Challenge. Bike commuters can compete in team and individual mileage competitions. Check to see if your employer has a team or start one on your own. Participants can also upload photos, videos, and personal stories on the Tahoe Bike Challenge Facebook page. I did the Bike Challenge for a number of years and found it to be rewarding and fun. The month of May is typically Bike Month for towns in warmer climates. 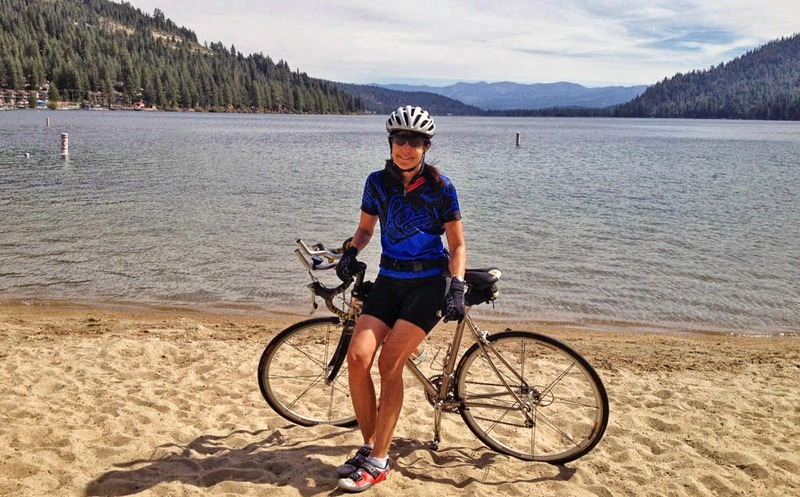 Lake Tahoe pushed the Challenge to June so riders could enjoy the nicer weather.